Community is at the heart of everything we do here at ETHOS, and we believe when families thrive; communities thrive. Since 1998, ETHOS has been a community catalyst, responding to immediate needs and anticipating future challenges of the marginalised ethnic minorities that make up our community. Through informed decision-making, we inspire ideas, ignite action and mobilise diverse resources to improve the quality of life for our local villagers and their families. We are made up of inter-connected pieces; support projects within the local community and tour operations which facilitates the day to day running of the organisation. We currently have a number of ongoing in a variety of fields. Future planned initiatives will include, improved farming, nutrition and food security and female empowerment through sustainable income-generating activities. ETHOS fully recognise tourism, when sustainably developed and managed, as an effective tool to realise poverty alleviation. The majority of local people cannot access adequate health care due to a lack of literacy, finance and an understanding of the risks and procedures involved. Hang Thi Song is 11 years old and is the youngest of 6 children. Their family home accommodates 11 people. 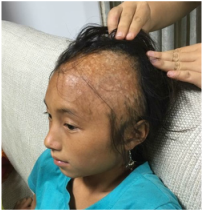 At one and a half years of age, Song received burns to her head when she fell into a boiling pan of rice. 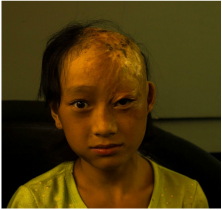 Song is on a waiting list to receive corrective surgery at the Hanoi Institute of Burns. Dinh is the 12 month old son of Vang and Pang, subsistence farmers from Lao Chai village. 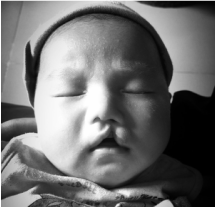 Zing was born with a cleft lip and palate. 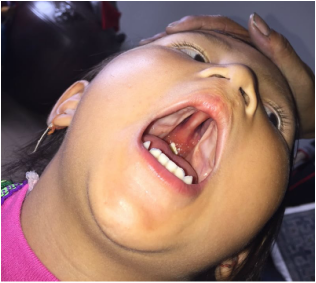 Children with a cleft have difficulties with basic functions such as eating, breathing and speaking. 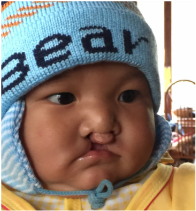 At 10 months of age Zing received treatment to repair his lip, but now requires surgery to repair his palate. We are regularly called upon to support local villagers overcome barriers to access. Currently we are raising finance to help four children receive operations that will greatly improve their chances of a normal life. ​Funding is needed not only for to pay for the surgical team, hospital and theater costs, anesthetic and medicines, but travel to and from the hospital in Hanoi, living expenses and accommodation for an accompanying adult for the duration of each child’s hospital stay. In the Sapa area, one girl disappears to China every five days. Everyone you will meet has been touched by this horror. Human Trafficking feeds on poverty, despair, crisis, and inexperience, all of which can be found in rural areas of Vietnam. Our human trafficking prevention program will initially trial across 13 villages in the Sapa region, and will be focused particularly towards young women and girls at high-risk of being trafficked to China for sale as brides and prostitutes. As the campaign against human trafficking requires dialogue within the communities, all community members will be encouraged to attend each full-day program. The program will focus around activity based learning and small group activities. We plan to show an educational film and allow for dialogue led by survivors of human trafficking, to challenge existing attitudes and perceptions within the communities. Each full day seminal will reach 30 vulnerable girls and cost $300 to run. We are providing accommodation, emotional support, security and educational opportunities for three young Hmong girls, So – 15, and Cha – 11. So and Cha are sisters, and before coming to live at ETHOS, had no safe place to call home. Victims of domestic violence, and human trafficking, their mother fled to China in 2015. This left them without a stable home. Since coming to live in the ETHOS Community Centre, both girls are now regularly attending school and are bright, keen students with promising futures. To sustain each girl costs $7.5 per day (total = $5400 a year). Watching our guide team grow into leaders is wonderful. Today, ETHOS guides led their first ever health and hygiene awareness class in Sa Seng Village. Leading on from the work of Projet Humanitaire Nord Vietnam, the class involved demonstrating the value of personal sanitation and included distributing soaps, toothpaste and tooth brushes. With such high infant mortality rates in this part of Vietnam, classes such as this will genuinely save lives. Training including a hygiene kit for every attending child costs just $1 each. We are looking for sponsors to continue these courses. Some 171 million people could be lifted out of poverty if all students in low-income countries acquired basic reading skills. The majority of our community have received only a few years of schooling and are basically illiterate. ​Education programs for children and adults alike will improve all aspects of life for local Hmong and Dao people. ETHOS run a program of intensive literacy and numeracy classes every few weeks which increases employment opportunities and allows villagers to become more independent. A week of intensive training costs just $45 for a group of five learners. People with water related diseases fill half the hospital beds in developing countries. One in six people world-wide does not have access to clean water. Sanitation, access to clean water and health and hygiene issues are major development challenges. The majority of our region’s population lack adequate sanitation and most of the existing sanitation is unreliable, pumping untreated sewage into local rivers and drinking water sources. The result is high infant mortality rates and other issues attributed to water borne illness and disease. Aluminium drinking water barrels for the ETHOS Community. The goal of this project is to reduce the health risks of water related diseases and to lessen the need to purchase single use plastic bottles of water. Stage 1 will involve providing aluminium water barrels for 20 village homes to ensure boiled, clean drinking water is accessible not only to the immediate family but to ETHOS guests and other visitors. Each water tank costs $20. 40% of the world's population still lives without access to toilets. 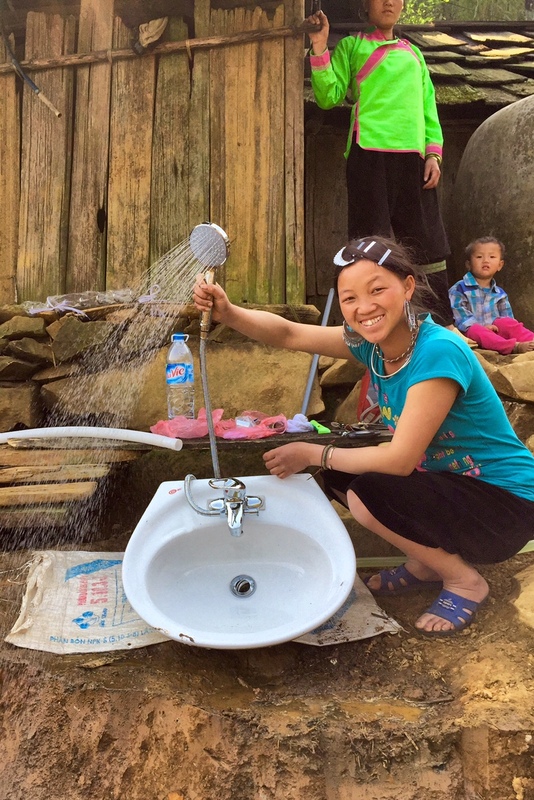 In the Sapa area, the installation of sewage systems is impossible, and the resulting improper waste disposal spreads devastating waterborne diseases that afflict many in our community. 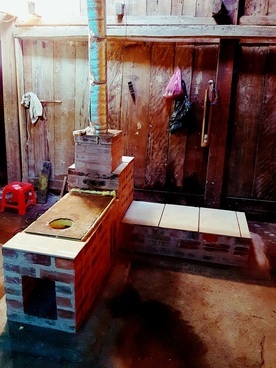 ETHOS is currently trialing a compost toilet in a home in Lao Chai village. The system is cost-effective, eco-friendly, sustainable and suited to the village environment. The toilet has a drum that collects waste, reduces odor and the number of dangerous pathogens. The drum is emptied regularly and the compost is collected and used for various purposes. We have combined the composting toilet with an adjoining spring water shower. The biggest killers here in Sapa are pneumonia and bronchial problems because Hmong homes are too cold, damp and smoky during the winter months. ETHOS have been working together with University of Applied Sciences and Arts Northwestern Switzerland FHNW. We began with consultation, talking to builders and local homeowners. We now have a number of stoves being trialled. As this project rolls out, we are looking for a project manager prepared to commit at least three months to building replicas of our prototype. Sapa winters are notoriously harsh. Keeping warm can turn into a matter of life or death for some people in highland areas. With humidity often reaching 100% and temperatures dipping sub zero, pneumonia becomes the number one killer for poor villagers. Homes with substandard insulation and mud floors contribute to the damp conditions that make the disease so prevalent. One solution is winter jackets that can be worn as overcoats. These help to block out cold air and moisture. For the weak, they are potentially life saving. Each winter coat costs 90,000 VND ($4) and ETHOS arrange for distributions in villages throughout the region. Over the past three years, we have delivered 706 jackets. To further the reading skills of our guides and the wider Sapa community, we at ETHOS are looking to create a resource bank of reading materials to be stored in a community book bank. We are initially looking for donations of children's books in both English and Vietnamese. If you have these kind of resources and are happy to send them to a new, loving home in Sapa, please get in touch.